The members of the Fervent Few come from all walks of life. They each have unique experiences in—and opinions on—the world of beer. This week, we wanted to hear from the members who work in the industry. What do they think about the state of laboring over the beverage we all love? What’s exciting, what’s bothering them, and what can we do to make things better? Nick Weber: “I've been in beer for about six months now after a decade stint in kitchens, and I have seen two strong threads that pervade both industries. The first problem is the poor pay rates that plague brewing, much like cooking. 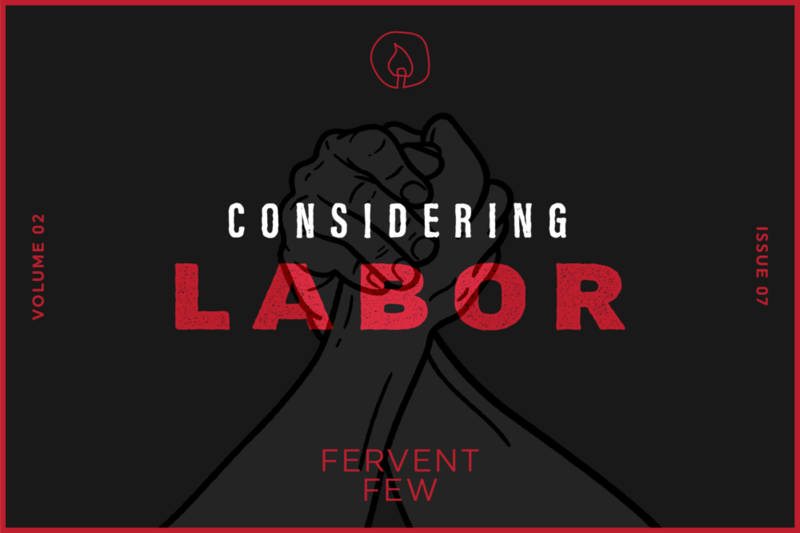 Long hours, strenuous and dangerous work conditions, and handling several thousands of dollars’ worth of product at a time should come with aggressive and competitive pay. However, the median salaries are laughably close to poverty. That said, I love every second of brewing and I'm so fortunate to work in the field. But perhaps that attitude—which is shared with pretty much everyone else in the industry—is why we're complacent with substandard wages. Matthew Modica: "The biggest issue facing this industry is mental health and agency. Nobody will be happy working on Labor Day, but we do it anyway because it’s what we signed up for. With positions in this community come an understanding that you have to find your maturity at the rate you can afford yourself. It takes years. Years to understand how to stand up for your time and worth. Unfortunately, in some cases, to be able to stand up and speak out about being sexually harassed. A culture of which is inhibited by male driven nasty ego. A culture of which protects its own nasty male ego. There is no doubt that if the people who wrote our checks and paid us personal attention that these things would be noticed more often and corrected and in turn become non issues. This comes to the overwhelming ask that employers be proactive. Get ahead of the expected instead of sitting back and hoping one of your employees doesn’t harass someone else, or burn out overworking themselves for your profit to the point that they develop/envelope anxiety. If they got ahead of it then the “excepted” is not that. Most employers expect the world and put their trust in the hands of people who are ill equipped to recognize when someone is in need. You can ask the world from someone, but you can’t turn around and tell them build it too. Pay your people, mentor your people, give them the time they need to cope, don’t touch your people. That’s it. That’s all there is." Do you work in the beer industry? Join the Fervent Few and meet your new best friends. Let's have a couple drinks and chat about what excites and worries you about what you do for a living.